The podcast where we talk about the '90s... TODAY! New episodes every Saturday at 8PM EST. To celebrate James’ birthday we interview him about all things nostalgia and childhood. We also give out our new trivia question and talk about All That in the “It Came From The ‘90s segment”. James and I talk about playgrounds, school lunches, video games and more! In the "It Came From The '90s segment" we talk about Wrestlemania X.
James and I talk about the tale of laughing in the dark from Are You Afraid Of The Dark? We also talk about the new Aladdin trailer in the "It Came From The '90s segment". 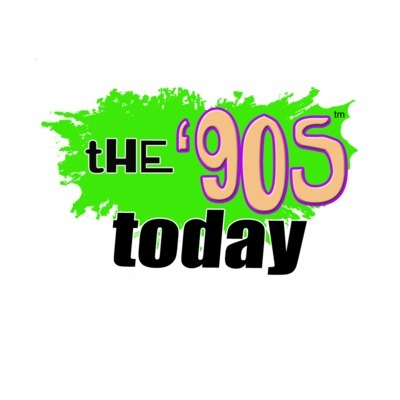 On this episode of The '90s Today podcast we talk about '90s kids vs. today. James and I talk about our experiences at Universal Studios in the '90s. We also talk about Pokemon Sword & Shield and the new look at the Lion King Trailer in the It Came From The '90s segment. Pete and Pete "Grounded For Life"
On the seventy-sixth episode of The '90s Today podcast we talk about Pete and Pete "Grounded for Life" . We also talk about All That coming back in the "It Came From The '90s segment"
It Came From The '90s -All That coming back -Are You Afraid Of The Dark movie or TV series? -Link's Awakening Reimagined for the Switch James and I talk about our favorite Valentine Day couples from the '90s and we also talk about our valentines day experiences in elementary school. James and I talk about the episode "The Tainting of the screw" from Kenan & Kel. In the "It Came From The '90s Segment" we talk about 90210 reboot and Halftime Heat. Also, don't forget to try to answer our trivia question at the end of the episode! James and Brandon talk about Zeke The Plumber from Salute Your Shorts. James and I talk about the Cartoon All Stars To The Rescue special. We also talk about Resident Evil 2 and the new Backstreet Boys album in the "It Came From The '90s" segment. James and I talk about Home Improvement. In the "It came from the '90s segment" we talk about Britney Spears, SNES coming to Switch and TMNT. James and I talk about "Mean" Gene Okerlund and Bob Einstein's passing, Nintendo Power 1991 calendar and Playstation Classic price drop. After that I interview the former KB Toys employee! At the end of the show James has a special announcement! James and I talk about our favorite '90s Christmas movies. We also talk a little bit about some 80s christmas movies we watched. It Came From The '90s Segment we talk about Sonic The Hedgehog Movie, NES Classic/SNES Classic no longer being restocked and Resident Evil and the Mario Bros. Movie. We loosely talk about Super Smash Bros Ultimate in the "It Came From The '90s Segment". We also go completely off the rails during said segment. We get back in the swing of things though when we talk about Black Friday, Christmas Eve, Presents, Decorations, School and more! In the It Came From The '90s segment we talk about Stan Lee and Stephen Hillenburgs passing. When James met Stan Lee and we discuss our favorite Spongebob episodes. We also talk about the Playstation Classic. In the actual episode we discuss various items we wanted as a kid for Christmas during the '90s. The following items are some of what we discussed: Game Boy Color, WCW Wrestling Figures, Sega Game Gear, Iceman figure from X-men, Sega Dreamcast and more! Scariest Episodes Of Are You Afraid Of The Dark? It Came From The '90s: FAO Schwarz Nintendo 64 Classic James and I discuss the scariest episodes of Are You Afraid of the Dark? We also include some honorable mentions. Halloween Traditions, Movies, Commercials, Haunted Houses, Costumes and More! It Came From The '90s:Geoffreys Toy Box (Toys "R" Us coming back! )Twilight Zone RevivalHalloween Movie James and I talk Halloween Traditions, Movies, Commercials, Haunted Houses, Costumes and More! It Came From The '90s: Shawn Michaels coming out of Retirement?The Chilling Adventures Of Sabrina The Teenage Witch This podcast is all about the 25th anniversaries of the following shows: X-Files, Legends Of The Hidden Temple, Lois and Clark The New Adventures Of Superman and Animaniacs! We are joined by special guest Alexys again to talk about board games of the 90s! The 90s: From A Girl's Perspective Part 2 w/ Special Guest Alexys! James and I, along with our special guest Alexys, discuss her view of the 90s. The 90s: From A Girls Perspective Part 1 w/ Special Guest Alexys! We talk about The 90's from a Girls Perspective! With our special guest Alexys! James and I talk about the Fox Kids Network. James and I will be talking about Disney TV and cartoons from the '90s. In the "It Came From The '90s Segment" we talk about Jurassic World Fallen Kingdom, Double Dare back on Nick, Toys "R" Us, KB Toys and Star Trek. This is the FINAL The '90s Today short. We will be going back to the regular weekly format where we broadcast on Saturday at 8PM. James and I talk about our school memories of the '90s. In the It Came From The '90s segment, we talked about Jurassic World: Fallen Kingdom comparing to Lost World. I also talk about Super Mario Party and James talked about the re-release of Resident Evil 2. We go off the rails several times because I don't know many '90s Disney live action films. It a fun listen. I hope you enjoy this episode! James and I discuss Cable In The Classroom and Reading Rainbow. It Came From The '90s Segment featured: Nicktoons Racing for the Switch, Toys "R" Us Closing This Month and Creepy Crawlers getting a movie. This episode covers Disney Animated Films Of The 90s! James and I talk about Captain Planet. I run down a list of all the famous voice actors and more! James and I talk about Saved By The Bell. James and I talk about internet services of the '90s such as AOL, Juno, and NetZero. James and I talk about Star Wars in the '90s. In the "It came from the '90s" segment we talked about the Sonic The Hedgehog movie, Mario Movie, NES Classic and X-Files. James and I talk about Home Improvement. In the "It Came From The '90s Segment" we talk about KB Toys at PlayCon, Double Dare coming back to Nickelodeon and about Last Man Standing coming back on air. James and I have our first special guest on our show! Steven is a very knowledgeable person in the world of Mighty Morphin Power Rangers! Listen to this fun and informative podcast on the past history of the rangers and favorite moments on the first three seasons. We also dive into the Japanese episodes! In the "It Came From The '90s" segment we briefly talk about KB Toys coming back! We discuss our favorite cereals of the 80s/90s and some discountinued ones. The "It Came From The '90s" Segment featured James and I talking about Roseannes new season and the movie Ready Player One. We also talk about part 3 of our WCW/ECW/WWF wrestling memories of the '90s. James and I talk about some moments of '90s women's wrestling. James and I talk about in the "It Came From the '90s section" about Clarissa reboot and Toys "R" Us memories. We also talk about more moments from the WWF Attitude Era, WCW and a little about ECW. James and I talk about wrestling toys in the '90s. We mention ECW (SFTM), WCW (SFTM), WWF Hasbro and Jakks Pacific. I also announced the recent news about Toys "R" Us closing. James and I talk about the WWF Attitude Era and the Fall of WCW. We also discussed during the "It Came From The '90s" segment about Toys "R" Us going out of business, Super Smash Bros for the Switch and the next Goosebumps movie. James and I discuss our top 3 favorite moments of the Monday Night Wars. In this episode titled "Monday Night Wars" James and I discuss: How we got into wrestling What made WCW so popular New World Order and more! Also, in our new It Came From The '90s segment, we talk about Toys "R" Us closing stores in the UK and Goosebumps. James and I discuss our memories of Nick At Nite! At the top of the podcast, we talk about the closing of 200 more Toys "R" Us Stores. We dive into more '90s toys goodness with Creepy Crawlers, Micro Machines, Hotwheels, Easy Bake Oven, Yo-yos, various toy lines and more! I discuss the major blockbuster of 1993 Jurassic Park. We also call James so he can voice his memories of it too! James and I talk about '90s toys such as Super Soaker, Beanie Babies, Furbies, '90s Playsets, Tamogatchi, Tiger LCD, Mighty Morphin Power Rangers and more! Also at the top of the podcast, we talk about Slice coming back, Cheeseburgers and Chocolate milk being taken out of Happy Meals. James and I discuss some of our favorite and most rememberable commercials. James and I talk about Rugrats, Doug, Ren & Stimpy, AHH! Real Monsters, KABLAM!, Rocko's Modern life and more! We also talk about the recent Mario Kart announcement for the mobile phone, the XFL, and video games! 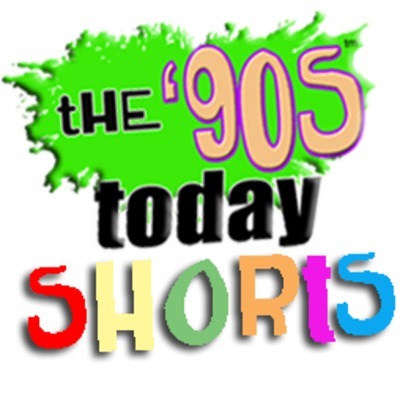 The '90s Today Short - What Scared You As A Child? James and I discuss what scared us as a child. I discuss my memories of the Game Boy and we call James to discuss his. In our part 3 of our Video Game Memories, we talk about Super Mario Bros 3, Final Fantasy IV, Final Fantasy VII, Super Mario World, Sonic Adventure, Super Mario 64, Legend of Zelda: Ocarina Of Time, Golden Eye 007, Capcom and more! I talk about KB Toys and my childhood memories. We also take a call from a former employee of KB Toys. James and I talk about Sonic The Hedgehog, Milton's Secret Castle, Startopics, Crazy Taxi, Shenmue and more! We also talk about Nintendo 3rd party support, how Sony and Nintendo almost made a console together, Philips CD-I and more! I talk about Home Improvement and Sabrina The Teenage Witch in 3D. James gives us a special call to give his opinion (and memories) on the matter too. James and I talk about how video games used to not let you save, video game defeats, battery life, NES cartidge blowing, Top Loader vs. NES V1, Sega vs. Nintendo and more! The first episode of The '90s Today Shorts I talk about the former Nickelodeon Studios. James and I talk about Johnny Quest, Space Ghost Coast to Coast, Toonami, Adult Swim, Dexters Laboratory, Courage the Cowardly Dog, 2 Stupid Dogs, He-Man (Masters of the Universe) and much more! We talk about our memories of Cartoon Network in the 90s. We discuss Looney Tunes, Powerpuff Girls, Johnny Bravo and much more! Hey guys! James was unable to make this podcast. I talk about two christmas episodes from the 1990s. One of them from Home Improvement and the other is Family Matters. It is a short episode. Merry Christmas and Happy Holidays! James and I talk about our favorite Saturday Morning Cartoons and more! James and I talk about Eek! The Cat, The Real Ghostbusters, Pinky and the Brain, Tiny Toons, Animaniacs and more! We get a little silly with this episode. James and I discuss Power Rangers, Sonic SAT AM, Beetlejuice and much more! James and I talk about our favorite memories of Halloween in the 90s. James and I discuss halloween themed episodes from various sitcoms of the 90s. We also talk about favorite scary movies of that decade. James and I talk about Are You Afraid Of The Dark?. James and I talk about our first Goosebumps books and TV episodes! James and Brandon (just Brandon) talks about their '90s Video Game memories of the Legend Of Zelda: A Link To The Past. James and I answer a listeners question on our favorite '90s video game and we also talk about our favorite top 5 '90s Movies. This is part 2 of our conversation on Fast Food and Kids' Meal Toys from the '90s. James and I discuss Burger Buddies, McLobster, McHotDogs, McPizza, Wendy's Super Bar, Kids' Meal Toys and more! James and I talk about Legends Of The Hidden Temple, What Would You Do?, GUTS, Nick or Treat, Wild & Crazy Kids, Double Dare, Figure It Out and Nick Arcade. We also answer a listener question on our top 5 favorite '90s theme songs. James and I talk about Mcdonald's Happy Meal Toys, Burger King Kids Club, French Fries, Pizza Head Show, Chickfila and more! James and I talk about food and drinks that we grew up with. We talk about Crystal Pepsi, Hi-C Ecto Cooler, Surge, Dunkaroos, Sprinkle Spankles, Doritios 3Ds, Little Hugs, Surge and more! Brandon and James talk about the former TGIF on ABC. Also, we answer our first viewer question and talk a bit about our next episode "90's Food & Beverages". James and I wrap up our discussion on SNICK. This IS THE VERY FIRST episode of The '90s Today! The host Brandon and his co-host James will be talking about SNICK (Saturday Night Nickelodeon).